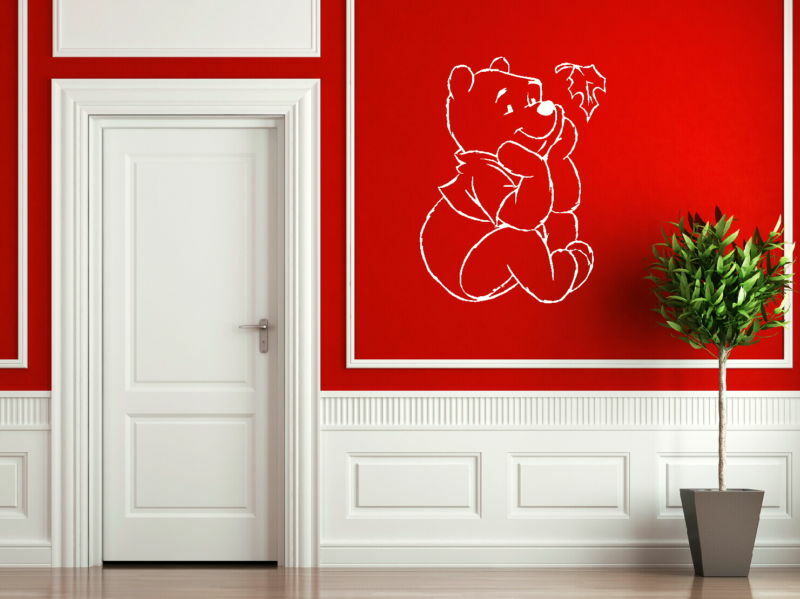 A classic of children’s literature, our Winnie the Pooh wall sticker depicts a sweet natured bear that is as well loved today as he ever was. 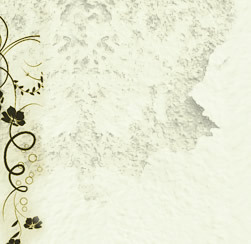 Times change but the most popular and well written stories will always be retold. 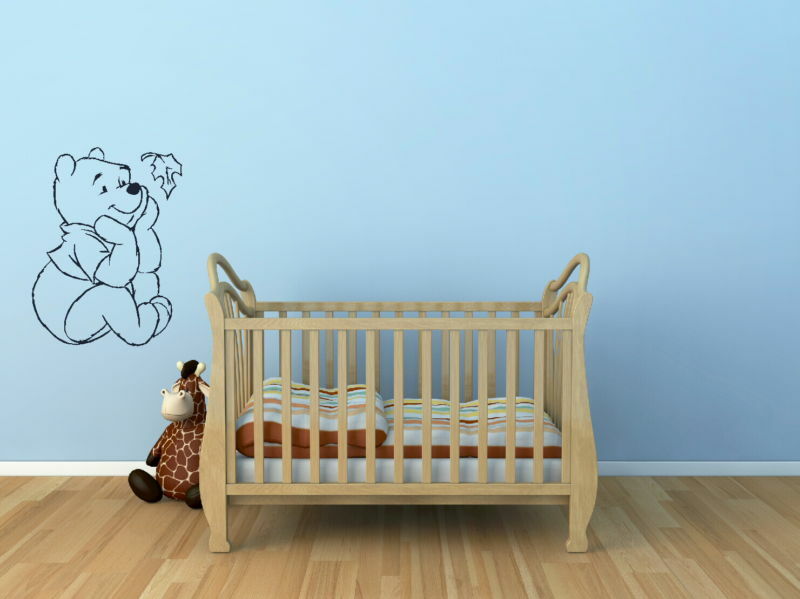 Use this whimsical design to enliven the room of a young A. 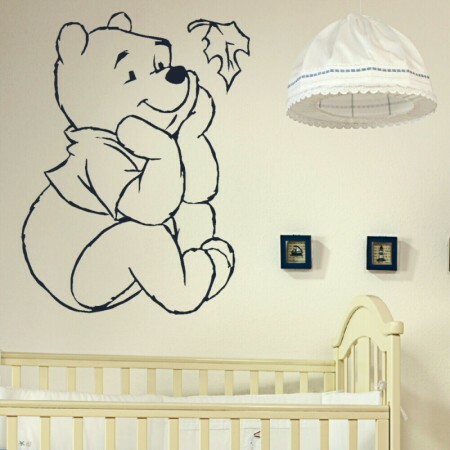 A Milne fan, or to add some playful charm to an adult space. 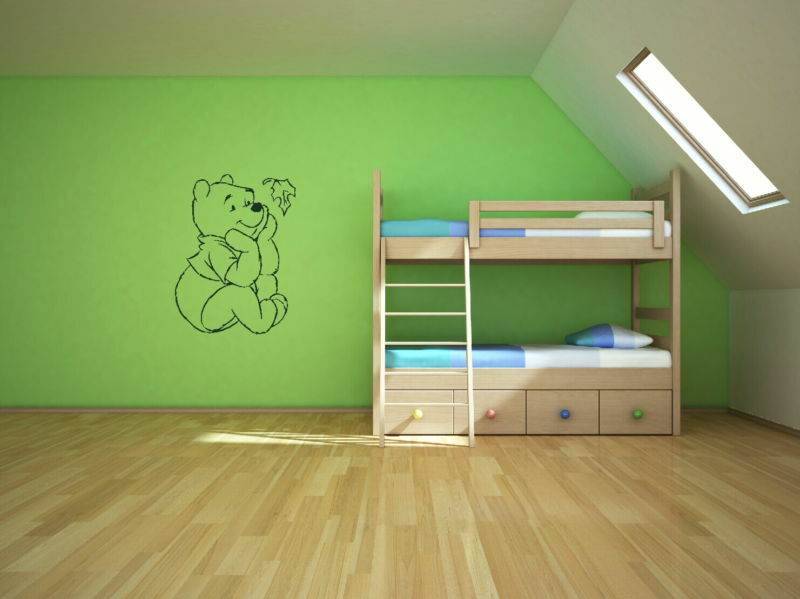 Our decals are an extremely uncomplicated solution to tired rooms, they allow you to inject atmosphere and fun whatever your budget. 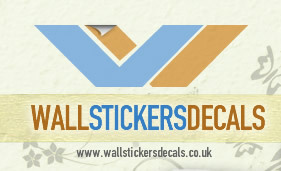 We can produce any of our graphics in the colour of your choice and three different sizes.